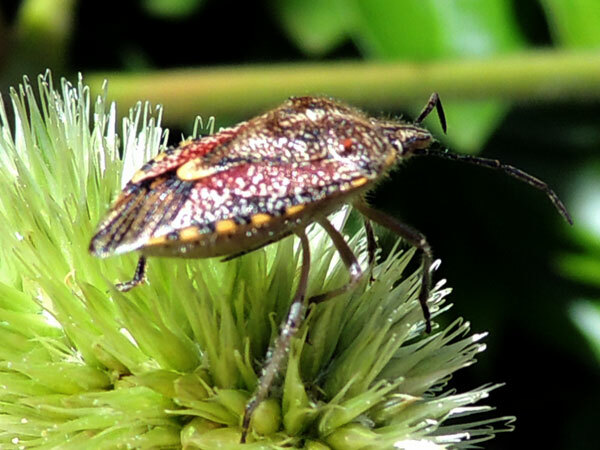 An adult stink bug on a seed cluster of Cyathula, Amaranthaceae, Kenya. December 2012. Copyright Michael J. Plagens. Page created 15 May 2013.